The best way to get to know a community is by scheduling a tour. See the facilities, meet the staff and residents, and get a feel first hand what it's like to live at AutumnGrove Cottage Stone Oak Memory Care. 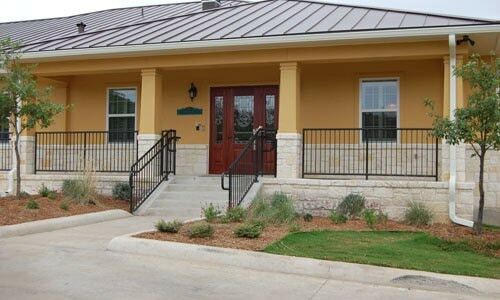 As a 16-resident community focused on only providing Alzheimer's or dementia care, AutumnGrove Cottage Stone Oak is a great choice for San Antonio seniors in need of memory care. Residents of our close-knit community receive services and care from highly trained caregivers who are all well-versed in caring for seniors who face the daily challenge of memory loss. Within our homelike community, residents reside in private accommodations which promote an intimate and secure feeling. Residences are outfitted with emergency call systems to provide both our seniors and their loved ones with peace of mind. Delicious meals are enjoyed three times every day in our dining area, and residents with special dietary restrictions receive dishes that meet their particular needs. A big part of life here at AutumnGrove Cottage Stone Oak are the numerous activities and events held each day. Residents are provided with a variety of opportunities to participate in group games, holiday parties, brain-stimulating activities, live entertainment and educational programs. Events are always optional, and residents are encouraged to enjoy the programs which interest them most. To provide residents with the most relaxing supportive living experience possible, we help facilitate on-site visits by various medical professionals that include geriatric physicians, as well as speech, physical and occupational therapists. As an added benefit, beauty and barber services are also available within the comfort of our community. As a provider of memory care, AutumnGrove Cottage Stone Oak makes available a wide range of supportive services. All of these services are individually tailored to meet the specific needs of each senior and may include help with dressing, medication management, diabetes care or a variety of other activities of daily living. Here at AutumnGrove Cottage Stone Oak in San Antonio, we offer the very best in Alzheimer's and dementia care for seniors.